Music aficionado Eric Alper (also known on Twitter as @ThatEricAlper) “hears” life through rose coloured glasses. Hearing—or listening—is something he’s done a LOT of in his lifetime. 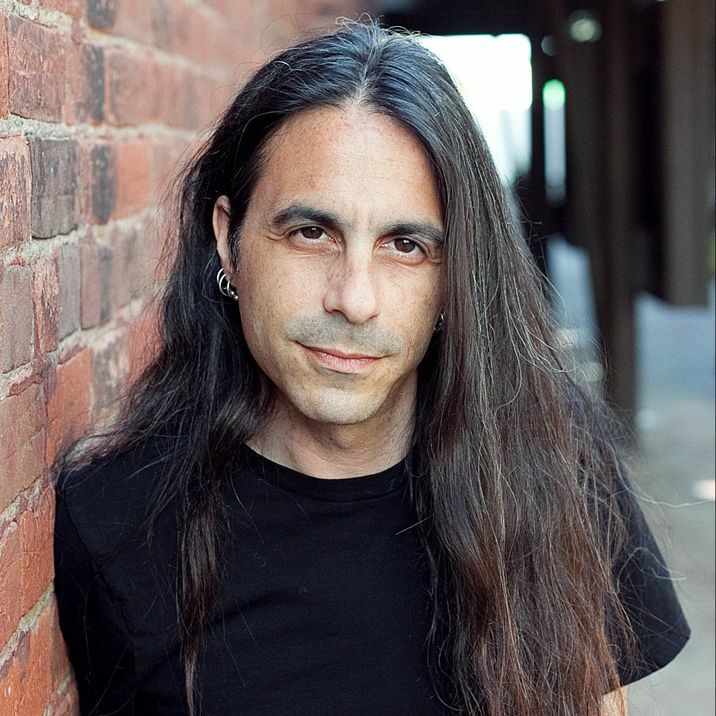 He’s been a music publicist for years, and has worked with 100s of artists, a list too long to mention, but let’s just say he’s rubbed shoulders with many musicians from Ringo Starr to Barry Manilow; Snoop Dogg to Dwight Yoakam. Eric is also a lifelong lover of books, and as someone who truly appreciates entertainment in audio form, tells us how he got into audiobooks and why he loves them. And as you may have guessed, music plays a big role. How were you introduced to audiobooks? I have always been a music fan, so it seemed like listening to a story would be a natural fit. That said, I got into audiobooks late, because I felt that somebody reading me a story would take away from a book that I would usually enjoy reading on my own time. And I was so wrong. I eased in to the format by getting the audio versions of books I read before, to enjoy the story from a different perspective, and I loved it. What was the first book you listened to? 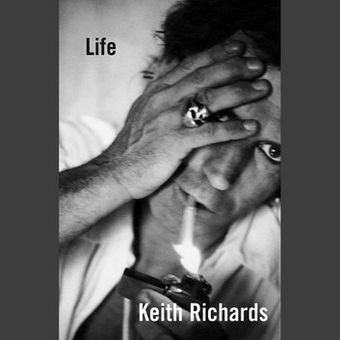 The first one I ever bought was Johnny Depp's reading of Life by Keith Richards. And it was astounding, such a perfect pairing of Mr. Rock and Roll actor Johnny Depp and rock God Keith Richards. I then went on to audio versions of books I hadn’t read to give me a little bit of illumination on the things I might be missing. I sometimes go back to books I have already read because the person reading it happens to be somebody that I'm a fan of. What other audiobooks do you like based on the narrator? I like people like Stephen Fry, who has narrated a whole bunch of audiobooks, including the UK version of the Harry Potter series. I will listen to everything he does because I love listening to him. Its opened a whole other world of books that I would have never picked up, but because he is reading it, it’s a must for me. What do you think the biggest change in audiobooks has been? I remember going to the library and seeing books on CD and on cassette tapes, and I knew that it would become a big business because I kept seeing the same titles repeatedly. Only the most popular books were available, but now, the offering is vast. It's almost like if you want to publish a book, you have to not only start thinking about how you're going to market the book in physical format, but how you're going to sell it as an audiobook and as an eBook. What correlation do you see between music and audiobook production? I have been in the music industry for 25 years, and have been around enough musicians in the studio to know they constantly strive to convert the sound they have in their head into something that will be pleasing to listeners, even if they have no idea who those listeners are. Even the biggest artists in the world today can kind of figure out if they are on the right track, but nobody can honestly say if their newest album is going to click with the listener. With audiobooks it's very similar; you have an author sitting in a pretty solitary environment writing a book and then handing it off to the publisher for editing. And then you've got to start thinking about how you're going to promote it—in music, it's the music videos, concert tours, the shirts and merchandise; and in the book world, it's the publicity, speaking tours, and the audiobook, with a strong focus on the production value to strike the right chord with the largest number of story lovers. What time of day do you listen to audiobooks? We all have the same seven days a week, 24 hours per day, but with life moving so fast, it's a commitment to be able to sit down and read. It's also a commitment to be able to sit down and watch a movie. Having the ability to listen to an audiobook with your family in the car while on a long drive is great; having that togetherness of listening to a story means you don't feel like you're missing out on conversation because you're still sharing an experience. I also can make the most out of walking my dogs, they get their exercise; I get uninterrupted time to listen to my audiobooks. And before we go, what other audiobook recommendations do you have for our readers? 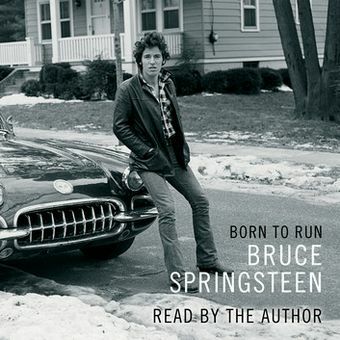 Born to Run by Bruce Springsteen – It’s like listening to him talk in his marathon concerts. You're talking about almost 18 hours of listening to Bruce talk, but I love Bruce. 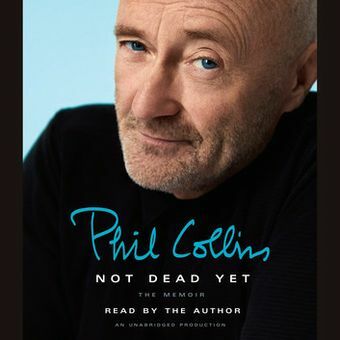 Not Dead Yet by Phil Collins – I'm a massive Phil Collins fan and I know he feels guilty about things he’s gone through in his life—it's in his songs. But hearing him talk and hearing his voice go up and down based on his enthusiasm really gave me more of an appreciation for something that I was already very interested in. So, with all these reasons to believe, will you try listening to your favourite stories?